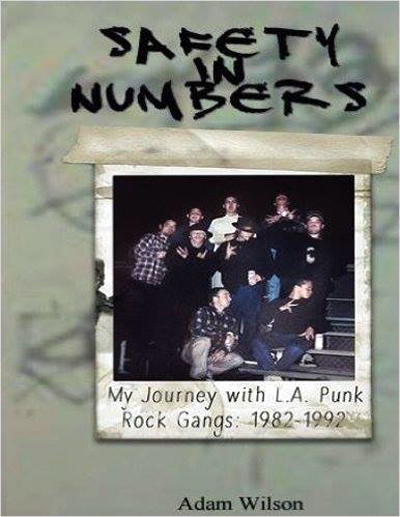 The punk scene in Los Angeles in the early eighties must have sucked bad, well, sure the was some excellent bands playing great music – that should not be forgotten. But also too much violence and too many crazy people doing too many drugs and drinking too much. As if that is not already bad enough, there was also punk gangs (! ), which is a contradiction in its self. But attention-seeking, young, stupid kids make everything possible – so there you have the punk gang. Adam was part of one of them gangs called Kaos – it started out with a bunch of kids and grew in a monster (Safty in Numbers). Fights, shootings, drug dealing – you name it, it is there. People are dying and get seriously injured.